A few weeks ago, the girls and I did a little “nail polish detox”, where we sat down, went through each of my polishes in my (already small) collection and threw out the ones that weren’t at least “5 Free”. Although they didn’t necessarily understand the difference between the “bad and good colors”, they always ask each time we sit down for a little girl time if the polish is safe for their fingers. As low maintenance as my beauty routine is, especially lately with my past two months of straight morning sickness (if you missed something, catch a little announcement here), I’ve dedicated the past few years to intentionally whittling down the contents of my beauty collection until I’m confident that each item in it is safe for my skin and, of course, my girl’s skin, lungs, eyes, and everything else, as well. I shared a few of my favorite skincare brands several months ago but today I wanted to delve a bit deeper into the world of nail polish (admittedly not my strong suit, but one I’m learning more about) and share about a brand I’m honored to partner with for the next few months. What’s the trouble with conventional polishes? Not surprisingly, most nail polishes, be they salon-worthy or purchased in the aisles of a dollar store, are laden with shockingly terrible chemicals. In fact, studies (and anyone with a sense of smell) show that even the air in most nail salons is harmful to breathe, let alone the polish they’re putting on your body. Although I won’t pretend to be an expert, a quick Google search of “toxins in nail polish” is a little terrifying. Chemicals like triphenyl phosphate (or TPHP) are known endocrine disrupters, and are found inside the bodies of women who use polish containing it. Formaldehyde, a substance used to preserve dead bodies and a carcinogen, is also another guilty party inside most nail polishes. These, along with toluene and dibutyl phthalate are commonly cited as the other more harmful chemicals inside almost all nail polish brands. Beauty products in America are notoriously unregulated and it’s hard to know who to trust, when brands who claim to be all-natural are actually laden with chemicals. 3-Free polishes were first to the scene, with 5-free close on its tail. Some brands, however, have cut the chemicals even more by offering 7-free options (a friend even told me that Target now sells a line that’s 10-free and I’ve even heard of 13-free). But what exactly are these polishes “free” from? 7-free specifcally, since that’s the polish I have experience using, is free from the 5 most common chemicals found in nail polishes with an addition of other 2 chemicals (Toluene, Dibutyl Pthalate, Formaldehyde, Formaldehyde Resin, Camphor, Triphenyl Phosphate (TPHP) and Xylene). I can’t even pronounce most of those words…why would I choose to put them on my fingers? Handmade Beauty hails from Madrid, a culture not subjected to the US’s loose standards when it comes to beauty products. They use only organic ingredients, even for their nail polishes, and have opened up several salons in Spain. All of their ingredients are listed on their website and they’re wonderfully transparent about their commitment to producing better, safer products. I’m not someone who constantly needs a color on my nails, but when I do decide to get fancy, it’s wonderful to know that I can do so without worrying about myself, my kiddos, and my growing babe in the process. — Meik Wiking, "The Little Book of Hygge"
I've been known to obsess over "atmosphere". I can never sit down to work until the room feels cozy enough. I've purposefully gone to cafe's that are a bit more expensive, just because I appreciate the "vibe" more. I like to feel inspired, at ease, home-y, whether I'm writing a blog post, hosting a get-together, or just spending time with my family. If you read my blog post on cultivating a sense of home in "unlikely" seasons, you'll know that this phase of our life has been anything but home-y. We're currently in-between homes and, true to myself, I've found ways to create cozy, intentional moments even when we have no space to call our own. It's usually as simple as a familiar routine, hanging up some simple decor to make our temporary room feel like home, or for me, of course, creating a little "coffee corner" for myself to wake up in each morning. Believe it or not, I'm not the only one who is obsessed with atmosphere and "coziness". It turns out that there are entire cultures and lifestyles built around this idea of "the art of creating intimacy" and coziness and the more I learn about it all, the more it speaks to what my soul already loves and craves. I've spend the past few months reading three books on the subject. Each of these books are a little bit different, but each one hinges on the Scandinavian culture of slow, thoughtful living, a topic that, not surprisingly, I fall more in love with by the day. The words Lykke, Hygge, and Lagom have English translations, but ones that, I think, fall short of the native meanings. Lagom (pronounced [ˈlɑ̀ːɡɔm]) is a Swedish word meaning "just the right amount"... "enough, sufficient, adequate, just right". Lagom is also widely translated as "in moderation", "in balance", "perfect-simple", and "suitable" (in matter of amounts). Although Scandinavian blood runs deep in my family, I can't claim to fully understand the depth and implications of living in a culture that so truly believes in these ideals. America, quite apparently, is far from the "just the right amount" mindset and our culture of more, bigger, and better has a tendency to distract. One of my deepest longings is to create a slow, thoughtful lifestyle for myself and my family. A lifestyle that doesn't continually need more. A family-culture centered around these notions of "less is more", gratitude, comfortable aesthetic, and experiences over things. Hygge, Lykke, and Lagom are, quite possibly, my biggest inspirations for Simply Liv & Co. other than my desire to grow the sustainable fashion movement. Unbeknownst to me, these concepts were so ingrained in me that I sought to live them out long before I knew what they were called, or even that cultures before me had done so for years and years and years. I strive to showcase products here that are both beautiful and functional. Lagom. Just enough. 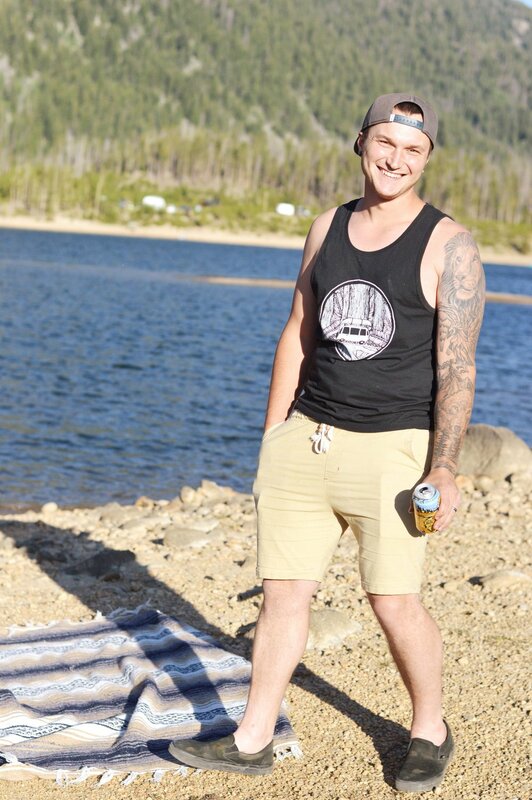 When Lakeshore Dry Goods reached out to me to collaborate, I wasn't sure how I was going to authentically share about towels. For one thing, I can't take a decent photo in them and, despite how much I use mine, it seems somehow different than sharing about a glamorous, easily photograph-able "capsule wardrobe staple", like I normally do. But, perhaps my mindset was all wrong. 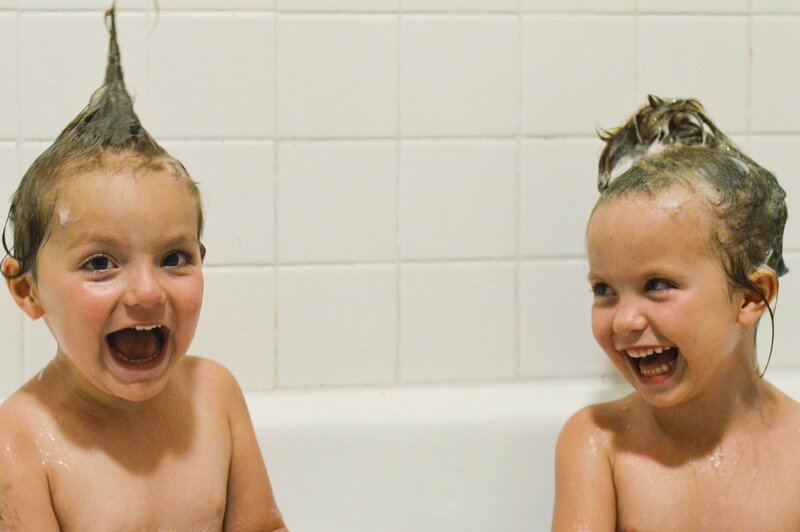 Perhaps the pieces that you use day in and day out, whether it's straight out of the shower, or in your real-life morning routine, or simply because your 3 and 4 year old love to look like mama, perhaps these are the pieces worth sharing about the most. 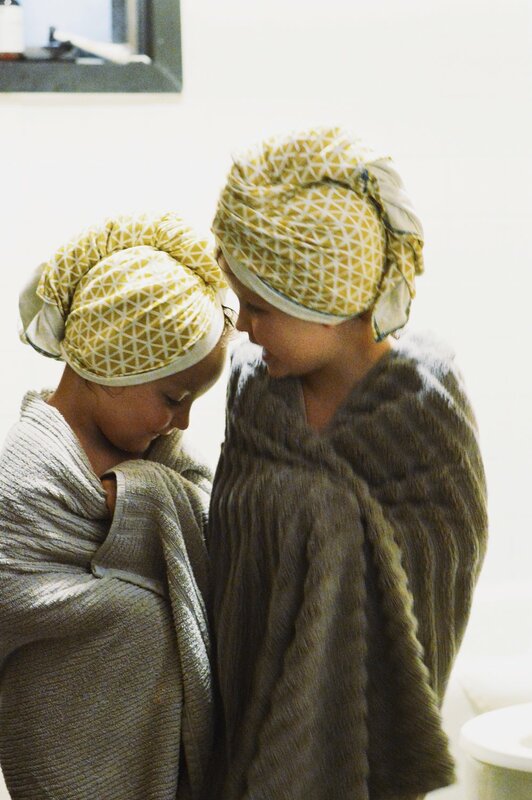 Lakeshore Dry Goods uses organic, ethically sourced and sewn cotton to create their towels, which is noticeably gentler on hair and magically reduces frizz and tangles. Both of which, coming from a mother of two girls with insanely tangle-able hair, is a miracle straight from the hygge gods. It might seem silly to link a cotton towel to my "dream lifestyle" but, if I understand it correctly, living a lifestyle of "lagom" is about surrounding yourself with things that are both beautiful and functional. My girls look forward to each bath time, knowing that at the end, they'll cozy up with their very own "big girl" towel, just like mama does. I've been known to leave my Lakeshore towel on for almost an entire day, because it takes so much of the effort out of my normal hair-care routine. 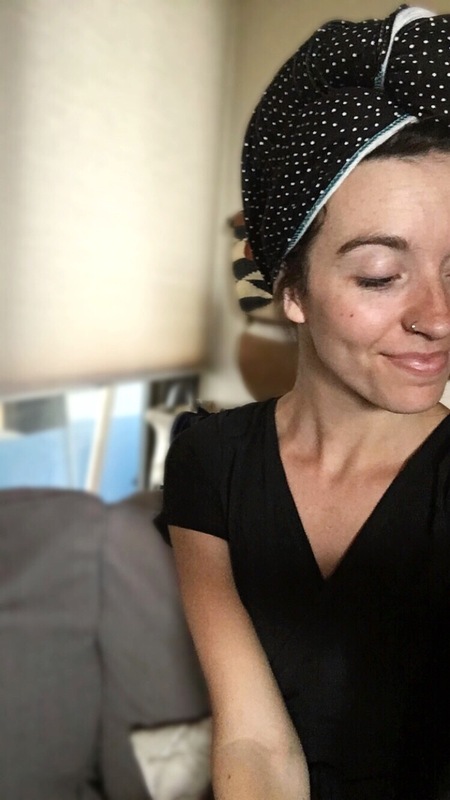 It reduces drying time, makes it easier to style my hair, is so much less bulky than a normal towel, and of course, I can focus on other things like making breakfast for my kiddos or enjoying my coffee in the morning for just a few minutes longer. My philosophy about enjoying the little things is so much simpler and more do-able when I'm not worried about silly things like spending time on my hair - a philosophy notably Danish and Swedish who are masters at the minimally undone looks. Notoriously low-maintenance and a lover of all things simple, easy, and of course, beautiful, it's no surprise that my love for these simple towels is a reflection of my love for something much bigger: a lifestyle that I'm daily trying to emulate. And choosing the right towel, or the right coffee corner, or the best time to stay in and say no - it's all part of the hygge I'm constantly trying to achieve. 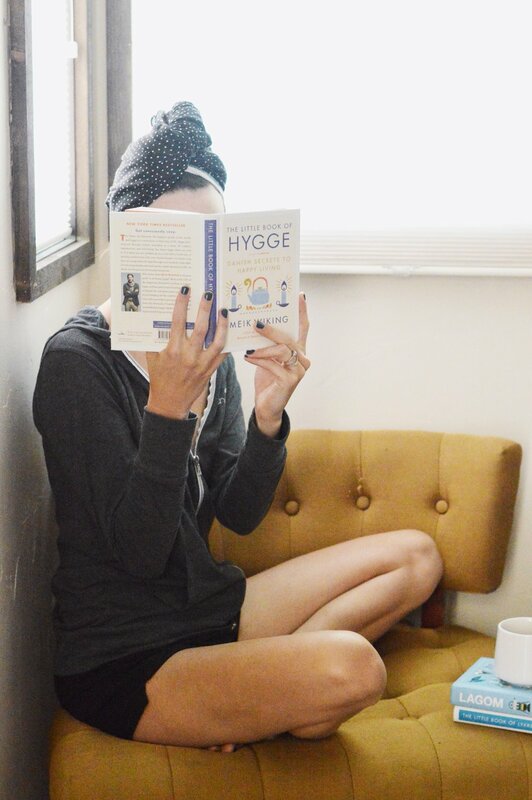 How do the concepts of hygge and lagom resonate with you? There are few things I appreciate more than a "one stop" shop. Buying consciously is tricky enough, but having to shop separate retails for each member of your family (and do the necessary research to make sure each shop fits your values and of course, budget,) is no easy feat. Furthermore, practicality, comfort, and kid-friendliness are huge pluses when I shop anywhere for my girls. 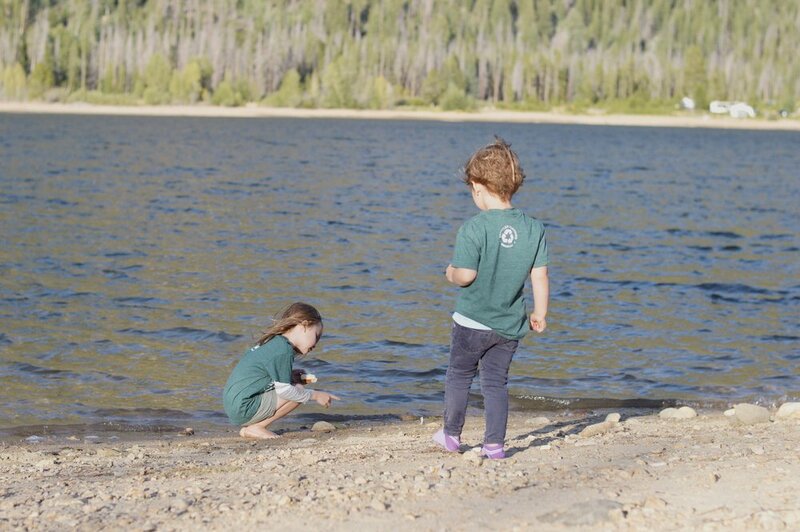 We're all for the twirly dress and tutu, but when a day at the lake beckons, we need clothes that can translate from home to camping trip and back again. Enter Ungalli Clothing. In a few short weeks, these pieces from the family (and eco) friendly store have become our go-to for anything from lounging at home to a campfire to a camping trip turned picnic at the lake. Ungalli is a Canadian brand focused on education and transparency. When co-founders (and sisters) Hailey and Bree learned about the effects of the fast fashion industry both on the environment and on the hands and lives making our clothing, they knew there had to be a better, more sustainable option. Ungalli was born out of their desire to spread awareness while creating an earth-friendly, worker-friendly product. 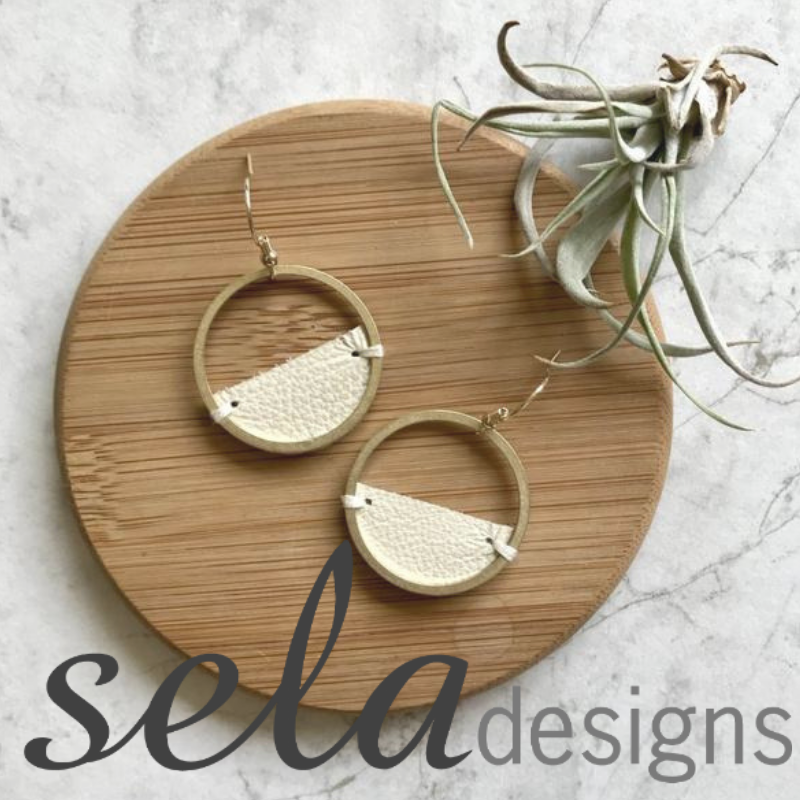 Their pieces are made with recycled materials, specifically plastic water bottles, which are shredded and refined into yarn and re-made as recycled polyester. One Ungalli tee gives new life to approximately 10 plastic water bottles, which means that my family alone is wearing about 30-ish plastic bottles that would have otherwise ended up in landfill. In addition to their eco-friendly fabrics, Ungalli designs and manufactures all of their clothing locally, reducing their carbon footprint and supporting their local economy. The brand offers just about everything from tees to joggers to hoodies to hats. There are even goodies for pets and kiddos. 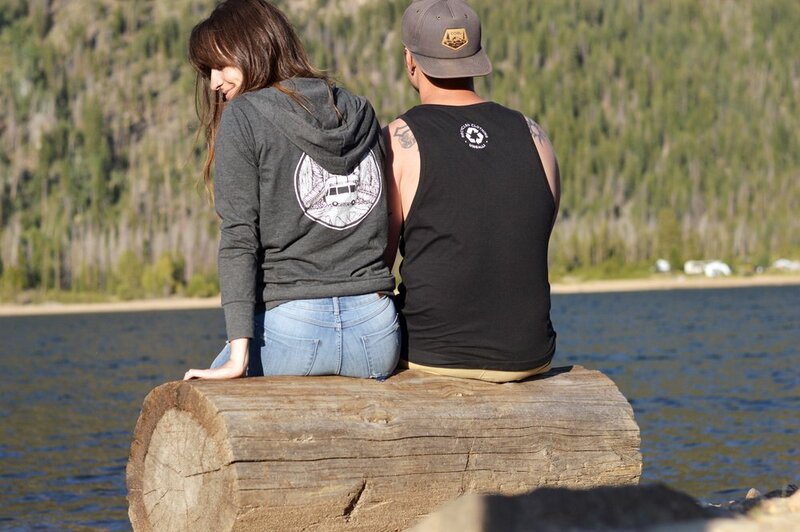 Ungalli spreads the love even further by offering custom tee printing for businesses, using their recycled fabrics. With comparable pricing, comfortable pieces, and designs that are easy for anyone to wear, Ungalli is lessening the footprint of the fashion industry one tee at a time. And, just to end on a realistic note, in case you think photoshoots with toddlers is as happy as it looks, here's a shot of Mara, after she fell in the lake. Self-care isn't a one-size-fits all event. For some, it's making space for a long, quiet run in the morning before the rest of the world is awake. For others, it's spending an afternoon alone in a cozy cafe people watching or catching up with a friend. Caring for your self doesn't have to look a certain way, it doesn't have to be planned, take a long time, or even be expensive. Self care is simply whatever makes you feel like you. Whatever helps you feel refreshed after a long day. Rejuvenated. Revived. Lately, I've been staying home with my girls for the majority of the day, so true moments of peace and quiet are few and far between. When I do get those treasured moments of silence though, I'm dead set on creating the perfect ambiance, whether I'm taking a bath or writing a blog post. When it's the former "self care event" I've been relying on the help of a good candle, some essential oils, maybe a glass of wine, and my favorite Curie products to help set the mood. Whether it's ten minutes or an hour, creating the ambiance with things I love and products that make me feel "pampered" is a surefire way to help me feel more like "me" and less like hot mess mom of two never-tiring toddlers. If you've followed along for the past few months, you've heard about Curie several times. I've been using their Bella Flor perfume and lotion for the majority of this year and love that their brand focuses on small batch, organic, artisan created fragrance, instead of chemical-laden, mass produced scents. After acquainting myself with Curie, I decided to broaden my relationship with their beautiful line of products and try their shower kit. If it smelled anything like their Bella Flor perfume did I knew I'd be hooked. Not surprisingly, their shampoo/conditioner/body wash trio is just as impressive, fragrant, and effective as their other products I've tried. Something about Curie exudes simple elegance and I love how just opening a bottle of their body wash feels like a quick moment of indulgence. The rest of my "beauty routine" is fairly minimal and sometimes non-existent, but when it comes to what I use to wash my hair and body, I'm oddly picky. To find something that checks boxes in everything from effectiveness, to ethics, to gorgeous branding makes me feel pretty cared for. Other than the occasional semi-extravagant DIY spa evening at home, I feel cared for and refreshed when I'm taking in the sights and drinking slowly brewed coffee at a new coffee shop, when I'm writing (not for my job), and when my home and closet feel intentionally organized and beautiful.